Dharma and Kramer are just 2 of the many pugs Arizona Pug Adoption and Rescue Network (APARN) has found caring families for. 13th in 2006; with 20,008 registered with the American Kennel Club (AKC). Although the Pug breed is ancient - some put his origination back to 400 B.C.E. - the Pug breed was officially recognized by the American Kennel Club in 1885. The Pug is thought to have got its name from looking like the pug monkey. I am cute and funny and I love to play a lot. I love to take long naps more, but however...playing is my second priority in my life. You are my first. And because you care about me and my well being, because Christmas is knocking at your door, I'm suggesting you several toys I would really enjoy. You can find them all on Fat Cat INC.
Elongated soft palace is the most common pug breathing disorder. The soft palate is the flap of skin at the back of the throat. If the palate is too long, it blocks the airway making it difficult for the dog to breathe. The dog can also choke on or spit up pieces of kibble and even faint from lack of air. Signs are severe panting, unable to calm down quickly when excited, and possibly vomiting. Noisy, hoarse breathing when overheated is another symptom. 1. My life is likely to last 10-15 years. Any separation from you will be very painful. 4. Don't be angry with me for long, and don't lock me up as punishment. You have your work, your friends, your entertainment. I have only you! Entropion is a disorder in which the lower lid margins roll inward to the extent that hair rubs on the plane of the eyeball. In rare cases, the upper lid can also be affected to some degree. One or both eyes may be involved. This condition can occur in all breeds, frequent recurrence to some breeds suggesting an inherited trait. Stenotic nares (pinched nostrils) is a frequent deformity found most commonly in brachycephalic dogs, including pugs. Because of their anatomy, pugs have an increased struggle to airflow through their upper respiratory tracts – the mouth, nose and larynx. Fleas and ticks aren’t your only concern, though they are major worries. You also need to think about worms, such as hookworms and roundworms. How do you keep your Pug away from worms and other parasites? Consult your vet and use flea and tick repellent such as Frontline or whatever product you and your vet like better. Amazon proves to be great when dealing with books. 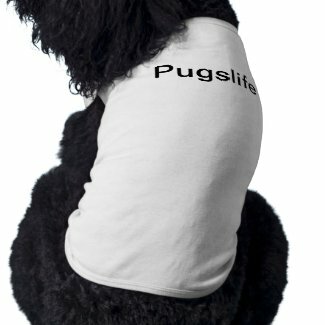 Here comes a list with pug books people buy to help them with their dog. If you already own any of the following or bought something else, feel free to write a review and let others know which would be the right choice for them. Your Pug asks for regular brushing to keep its short fur looking good and its skin healthy. Brush thoroughly from head to tail. Pay particular attention to the Pug's face. Wipe between the folds of skin softly with a warm washcloth, q-tips, or cotton balls. Because of their specific features, pugs encounter specific medical problems too. The shortened muzzle (referred to as brachiocephalic) is the root of breathing problems and air gulping. The main symptom for this issue is that your pug has way too many gases. At the same time, breathing problems occur especially in hot, humid season. Therefore, air conditioning in summer months in the south is vital. been domesticated, and has entered himself to mankind. Glad to be part of Pugs Life! I've been working on putting up some expert videos and tips for Pug owners, such as how to house train a Pug, how to groom a Pug, great Pug dog names, etc. Check 'em out and let me know if you've got some more ideas!